In Dagupan City (Pangasinan, Philippines), two typical nondescript streets quietly tell of an extraordinary story of love - one between a national hero and his young love. The first street is Rizal Street in the center of town. And the other street, intersecting with it, is Rivera Street. Rizal St. is of course, named after no less than Jose Rizal, our national hero who incidentally celebrates his 150th birthday this year. The other street, Rivera St., is named after the lass who took Rizal's fancy. Her name was Leonor Rivera. She is a Dagupeña, and this is the street where she used to live. 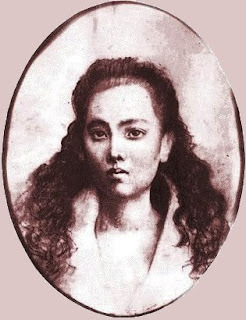 Leonor Rivera was 13 years old when she and Rizal met in Manila. Apparently, they were first cousins, but they later became childhood sweethearts, a love that was mostly nurtured through love letters, as Rizal had to go to Europe for his studies. It was 8 years of a long distance romantic relationship, one that was not encouraged by Rivera's parents due to Rizal's growing ill-favor with the Spaniards, esp. with the publication of the Noli Me Tangere that hits at the Spanish abuses in the Philippines at the time. Rizal and Rivera would have married, if not for the circumstances and the family's disfavor of Rizal. While the letters from Rivera had later stopped coming, news of her having married Henry Kipping, the Manila-Dagupan railroad British engineer, reached Rizal and devastated him. It would have been interesting had Leonor Rivera and Rizal ended up together, but history had other plans for Rizal. It is said that Rivera was Rizal's inspiration for Maria Clara in the Noli Me Tangere and its sequel, the El Filibusterismo . It was she who kept him connected to the Philippines through their letters to each other, the one who also kept him faithful from being lured by the pretty European ladies. Reading their stories, I could see how Rizal could probably find in Rivera the personification of the struggles of the Philippines back then in the hands of the Spanish. She was his muse. Of course we would also later learn of other ladies with whom Rizal fell for - like Josephine Bracken (who actually became Rizal's wife, did you know? ), and a score of others. Rizal is known to have taken a liking to many, but his heart belonged to his Philippines, and his Leonor. Where Rizal and Rivera intersects. P.S. While their history is compelling, there isn't much to see at present on Rizal St., nor on Rivera St., at least to speak of their significance. I hope some enterprising Dagupeños set something up in those areas, like a restaurant or cafe that celebrates the love story between Jose and Leonor. (There! That's a nice name for a restaurant already - 'Jose and Leonor') Somebody can also identify the former home of Leonor Rivera on the street that was named after her; it must be preserved or turned into a museum/cafe, if it has not already been demolished (the same way the former Dagupeña building was sadly and thoughtlessly demolished). There are many ways to improve tourism in the city. 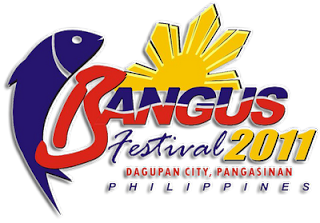 Join Dagupan City in celebrating the Bangus Festival from April 8 to May 1. See calendar of activities for more details. Also, join ClubTravelNOW!TM as it supports the city's celebrations by pioneering a Dagupan City Food Tour on April 30 and May 1. More details on that soon. Email travelbuddies@clubtravelnow.org if you're interested to join. Also, visit our Fan page and websites. Being a descendant of the Rizal family, I am totally against the destruction/alteration of properties with cultural value. Please view articles from PDI: Demolition of 200 year home and Money matters in fight to keep house of Rizal mom Feel free to join the discussions at forum.rizalfamily.org Thank you. To be historically correct, Leonor Rivera is not a Dagupena but a Tarlacena. 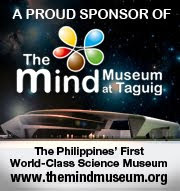 Her family stayed in Dagupan for only two years, 1890-1891 during the construction of the Manila-Dagupan Railroad. It is Rizal who has Dagupeno roots as he is related to the Quintos. Rizal visited Leonor in Dagupan once. It is not even clear if Rivera St. was really named after Leonor Rivera. It could be named after Braulio Rivera who was one of the 13 martyrs of Bagumbayan. Nice story though. to bandy the words 'to be historically correct' is misleading, esp. if the facts are arguable. what is only historically correct about leonor rivera and tarlac, is that leonor was born there. i think leonor rivera could be as much a dagupeña (where she lived for a while) as she is a tarlaceña (where she was born). she could also be a manileña (where she studied). they are not mutually exclusive. to me, she is also a dagupeña precisely because it is where she lived for 2 years, where her parents did business, where she had many friends, and where she was married. the city after all does not confer such titles. (and would not dare dissuade anyone who proudly wears dagupan in his/her heart; except if that person is perhaps running for public office w/o the necessary residency requirement). as to whether rivera st. was really named after her, we'll have to check city records to be truly certain. (if you have time to do that, let me know what you find). but absent historical records (or time to look at them), there is also context to be relied upon. 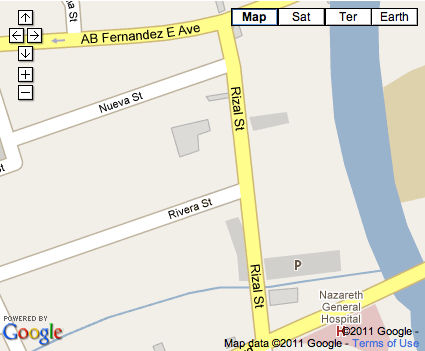 the other streets close to rivera were named after the gomburza, namely: gomez, burgos, and zamora. there are no other streets named after martyrs, as far as i can tell. to name another street after a little known martyr (braulio rivera, as you say; my first time to encounter that admittedly) is only minutely plausible, if not conferring with history books - but only looking at all the names of the other streets in the vicinity. there's gomez, burgos, zamora, rivera, and rizal. could it have been coincidental that the same street where leonor rivera lived was later named also rivera? could it be coincidental that the gomburza streets are also situated close to rizal st - they whose execution at bagumbayan profoundly affected rizal and led him to dedicate the el filibuterismo to them? could it be coincidental that gomburza and rivera, all inspirations of the el fili, are now streets in dagupan along with rizal? it's context more than anything, that i relied upon. if it had indeed been named after a braulio rivera, then his street is terribly misplaced. @jerbau: Thanks for commenting, you the great great great great great GREAT person that you are, err, grandson of Rizal. :) I agree with you, the demolition/destruction of properties of historical/cultural value should be stopped. In Dagupan's case (the Dagupeña), as in the case of the Alonso home in Biñan, the descendants themselves were responsible or had blessed the destruction, for financial reasons, obviously. What the government, the Heritage Commission, and other responsible agencies should do is to act before any of the issue come up: Purchase the properties to assure they will be cared for, or get the structures funded somehow for their upkeep. Thanks for pointing me out to your forum. Will visit.